This week we return to Utrecht in 1987 and the other two missing cover versions from the show that was issued officially as part of the 25th Anniversary edition of 'Document'. If you remember, the band played four covers during the set, but these were omitted from the 'Document' discs. They did, however, include three songs I never had on my bootleg, entitled 'A Bucketful Of Worksongs'. famvid, who commented on my original post - and who claims to have been at the show itself, mentioned these three songs were not broadcast on Dutch radio which is probably why they were missing from my bootleg. So combining these official and unofficial sources I now have the complete show! The final pieces of the jigsaw come from my bootleg. Strange, as you all know, featured on 'Document' and was a version of the early song by Wire, featuring on their seminal debut album 'Pink Flag'. Here Stipe refrains from delivering his full sneering vocal as on the album, opting instead for something more casual, almost spoken rather than sung. Funtime is the Iggy Pop song. 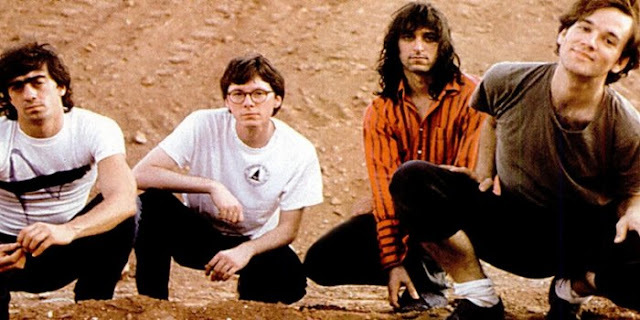 R.E.M. later recorded it in the studio and released it as the b-side to Get Up in the States. The song was played extensively the previous year on the Pageantry Tour, but only about half a dozen times on the Work Tour, just the once during the Green Tour in 1989 and twice in 1992 before retiring it from the set for good. Here, it sounds as if Stipe is reluctant to end the song, forcing his bandmates to play on for a final verse despite them thinking they'd finished! Drop Superman between Fall On Me and Just A Touch; place Strange and Funtime either side of Disturbance At The Heron House - that's the first encore sorted; Harpers begins the second encore (so that goes just before Moral Kiosk); and finally insert Time After Time/Red Rain (which I'm including here as a bonus for completion's sake) immediately before So. Central Rain. Got that? Strange [live in Utrecht] - R.E.M. Funtime [live in Utrecht] - R.E.M. Time After Time/Red Rain [live in Utrecht] - R.E.M. Can you re-post Superman and Harpers on hidden world of R.E.M. #6 ? The links have expired. Thanks.